Discover Dog Fashion Spa signature nail file for dogs, elegantly decorated with Dog Fashion Spa logo, capturing the essence of Quality Life for Dogs®. 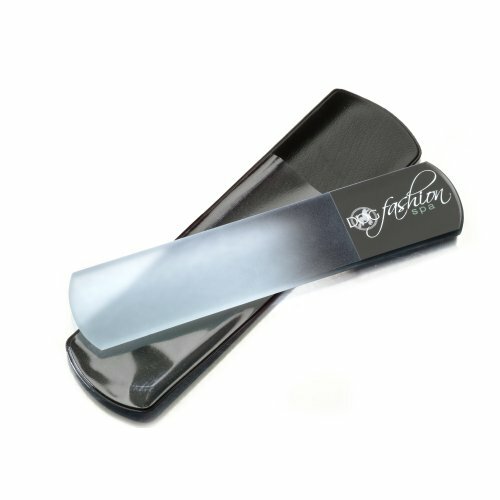 Dog Fashion Spa double-sided nail file for dogs is created by leading experts in nail and dog care and is made of crystal glass - superior material used for manufacturing the best nail files in the world. Non-porous surface does not absorb water and can be sanitized 100%. Reduces peeling and splitting of dog nails and does not disturb Dog Fashion Spa nail polish during touch ups. Guaranteed to last forever and never wear down, Dog Fashion Spa nail file is a must-have accessory for every dog. Dog parents: use weekly to maintain dog's nails or before applying Dog Fashion Spa nail polish. To clean, rinse under warm water and pat with a towel. Keep in the protective case and avoid dropping the nail file to avoid breaking the glass. Made in Europe. 6.5"